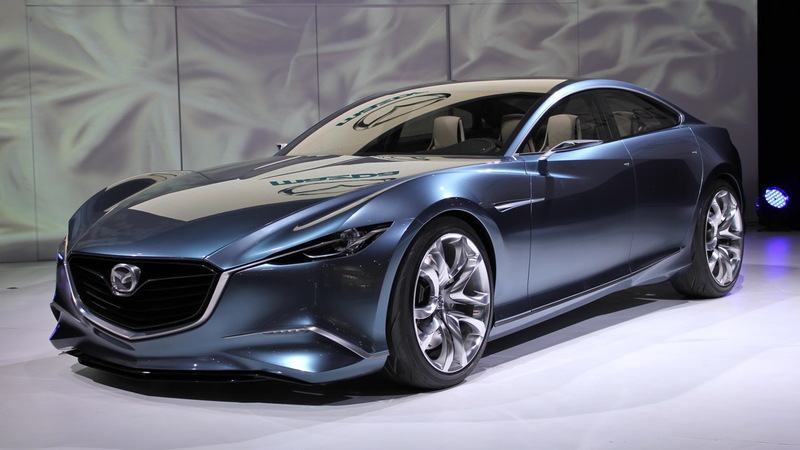 Mazda RX-9 Use Toyota Hybrid Drive? Nelson Ireson May 25, 2011 Comment Now! 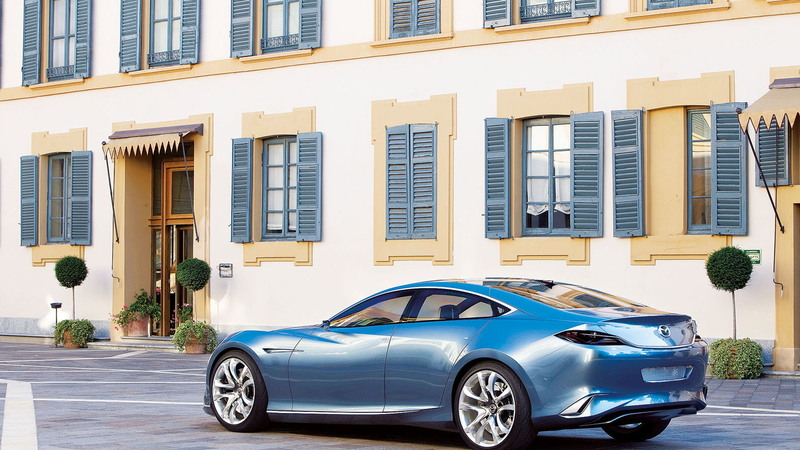 Rumors and insinuations about Mazda's next-gen rotary-powered sports car have been brewing since somewhere around the midpoint of the RX-8's life cycle. Some of those rumors were quite juicy. This one isn't. Instead, it's dry as cardboard crumbled into a cupful of soygurt. 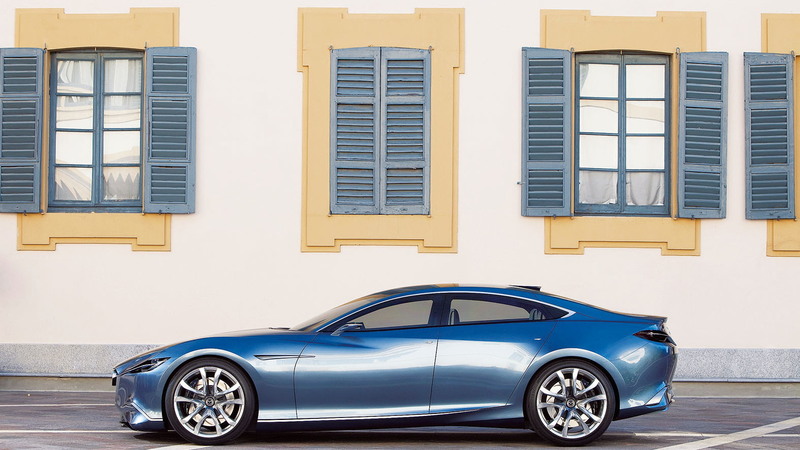 The gist of it: the RX-9 could be saddled with a hybrid drivetrain borrowed, at least in part, from Toyota, rather than a fire-spitting 300-horsepower rotary. A rotary motor will still live under the RX-9's hood, according to the report, but in much-tamed form. The hybrid will assist with fuel economy and torque. Given the latest crop of "sporty" hybrids, call us less than optimistic about the performance potential of such an arrangement. 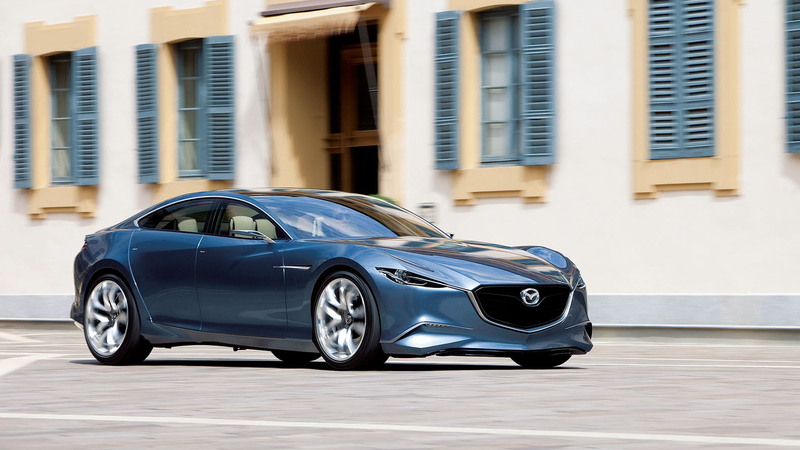 Given the realities of rotary design--relatively low compression ratios, leaky seals, and the attendant higher emissions and fuel consumption--it's not hard to see that, should the report prove true, it's a way for Mazda to keep the rotary alive in spite of itself. That's a sentiment we can understand, at least. It's not all bad news, however: as the MX-5 shared the RX-8's platform and grew accordingly the last time around, the next-gen MX-5's downsizing will transfer to the RX-9, which will instead ride on the smaller roadster's underpinnings. The result: no more oddball door arrangement, and a paring down in size and profile to something more akin the RX-7. Styling is thought to be headed in the direction of the Shinari concept (pictured). 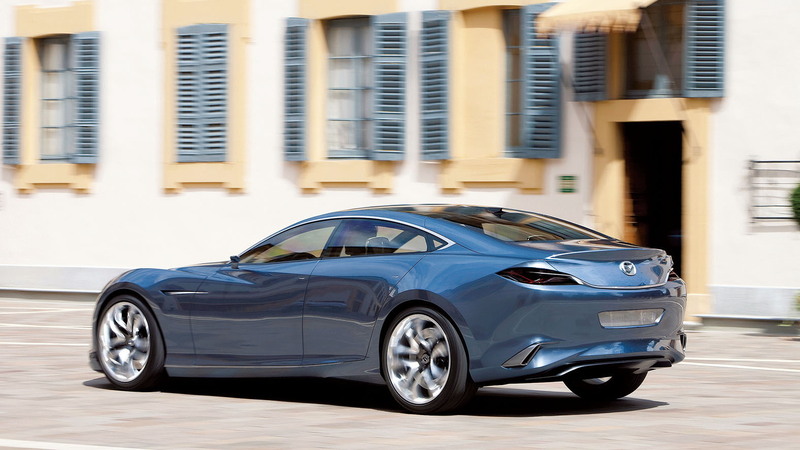 The harsh reality underpinning all of this is that Mazda's designers and engineers want desperately for both the next MX-5 and RX-9 to be brilliant, successful cars, but the company only has the resources to focus on the MX-5. Accordingly, the RX-9 gets what little attention and funding is left over. Finally, a release date was hinted: late 2013, indicating a 2014 model designation.